Ben Driebergen is doing everything he possibly can to be crowned Survivor's $1 million winner this season. Ben is a 34-year-old former U.S. Marine from Boise, ID. While Ben started out Survivor: Heroes vs. Healers vs. Hustlers as a member of the Heroes tribe called "Levu," he made the merge and is now a member of Solewa. Ben initially became ride-or-die allies with Chrissy Hofbeck, but he's not afraid to flip-flop and make big moves. As of recently, Ben is in a fantastic position because the alliance he's loyal to, which includes Devon Pinto and Lauren Rimmer, understand he's working as a "secret agent" to gather information from the opposing alliance. 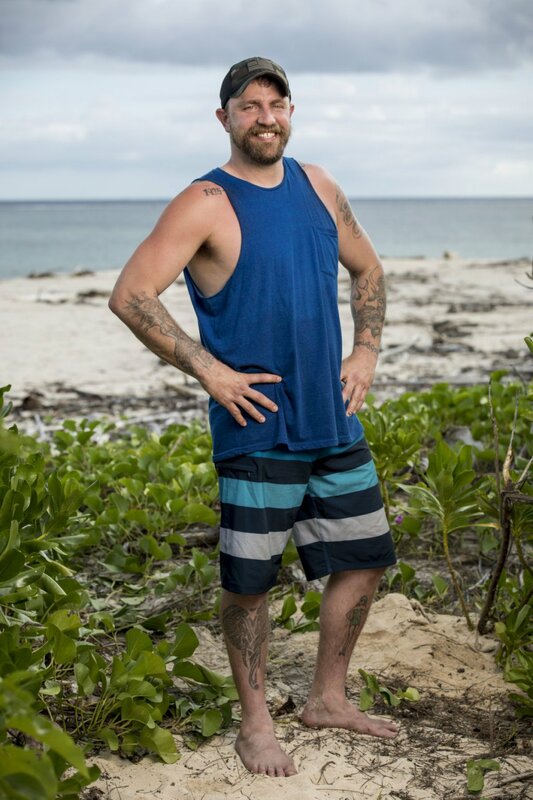 But the opposing alliance, which includes Chrissy, is in the dark over Ben's plans and strategy, so every castaway assumes he or she is aligned with him. Ben, however, is a huge threat to win the game and everyone is starting to realize that. Curious to learn more about him? - Ben, who could be a teddy bear or grizzly bear based on the circumstance, worked in a grocery warehouse before appearing on Survivor. - Ben's inspiration in life is Michael Blake Wafford because he gave his life for our country. They served together in Iraq and were a team. - His personal claim to fame is being a good dad and husband. Ben has a five-year-old son Wyatt and a three-year-old daughter Gracie. - Ben's hobbies include circle track car racing, building and shooting guns, and camping with his family. - Ben considers himself most like the former Survivor contestants Russell Hantz, Rob "Boston Rob" Mariano and Joe Anglim because he's a little conniving and manipulative like Russell, determined and confident like Boston Rob, and athletic like Joe. - Ben has held down a variety of jobs in different states since returning home from being in the Marine Corps, including working as a bouncer in North Dakota and building fences in Wyoming. - If he could bring three things on an island with him, Ben would choose a cowboy hat, boots and his running shoes.